Whether you’re shopping for yourself and your partner or searching for the perfect gift for your favourite couple, buying watches takes research and time. After all, you naturally want to find the best option available for a great price. We’ve done the legwork for you and rounded up the top affordable couples’ watches for him and her. From chic smartwatches to timeless matching designs, these are some great options that the world has to offer. 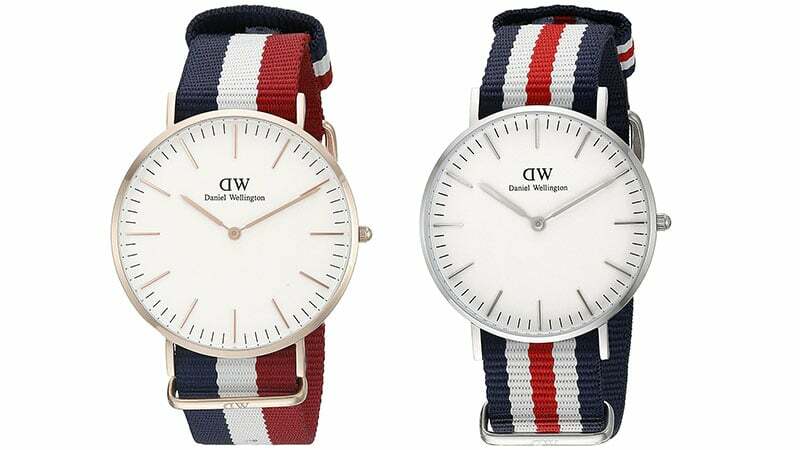 These Daniel Wellington Cambridge and Canterbury Watches are fashionable, functional and affordable. When it comes to design, both feature a large, round, minimalistic face and a striped nylon band, making them each on-trend yet individualistic. As for the performance, these top timepieces won’t disappoint. Both styles feature a quartz movement to help keep them in time and you and your partner in sync all day long. 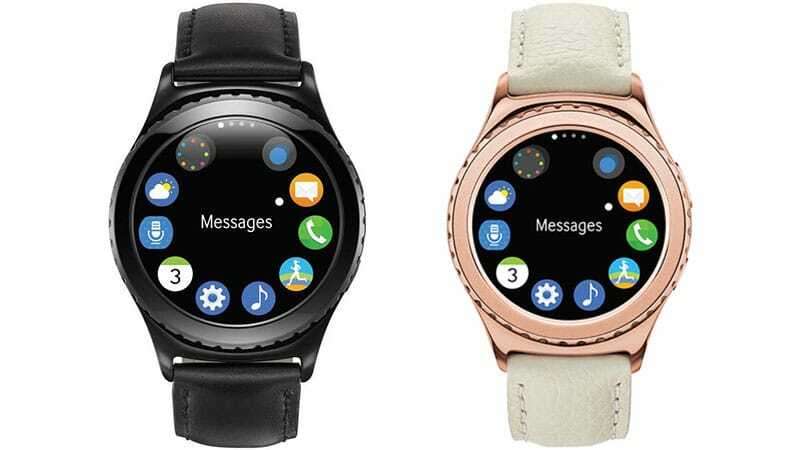 The Samsung Gear S2 Smartwatch is not only intelligent but it is also attractive. In particular, the brand’s Classic and Classic Rose Gold options each make a stylish choice for gents and ladies respectively. 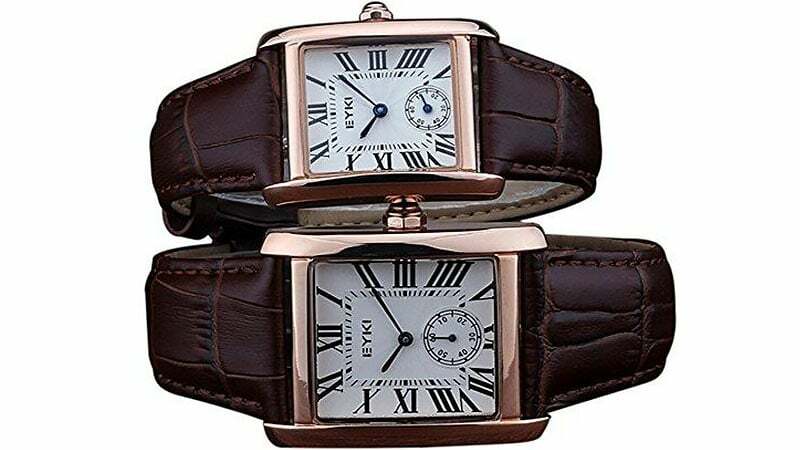 The Classic option features a sophisticated and masculine black design while the Classic Rose Gold boasts a gorgeous 18K rose gold plated case and white leather strap. Perfect for stylish couples on the go, these smartwatches will not only tell you the time but will also send and receive texts, calendar notifications, news updates and more. When you and your partner have something special and unique, you need watches that are the same. So, instead of settling for a traditional design, why not think outside of the box and opt for something a little different? These wonderful watches from Bewell are designed for lovers and are just as extraordinary as your love. Handmade from solid wood, their unique, comfortable and eco-friendly design is something special that you both will surely cherish. 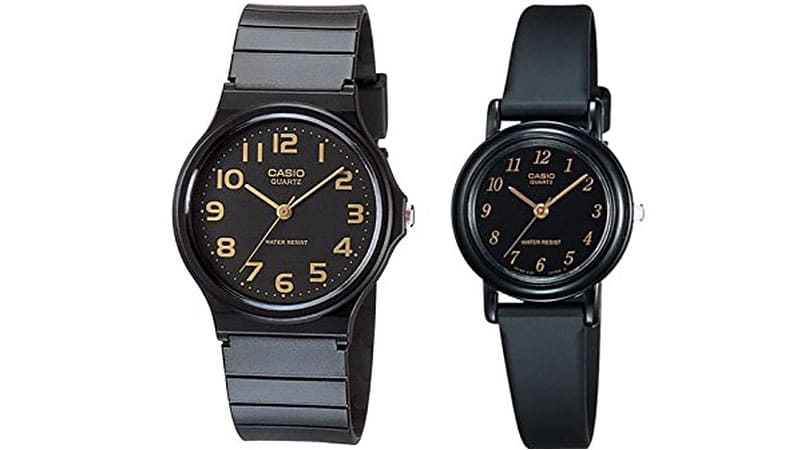 When you want to give the gift of couples’ watches but don’t have much cash to splash, choose Casio. The famous brand offers stylish and functional timepieces for men and women that won’t even come close to breaking the bank. In particular, the MQ24-1B2 and LQ139A-1 designs make an excellent pair. Thanks to their similar black and gold colour palettes and round faces, these chic styles appear matching, but their differences allow them to remain unique and distinctively masculine or feminine. 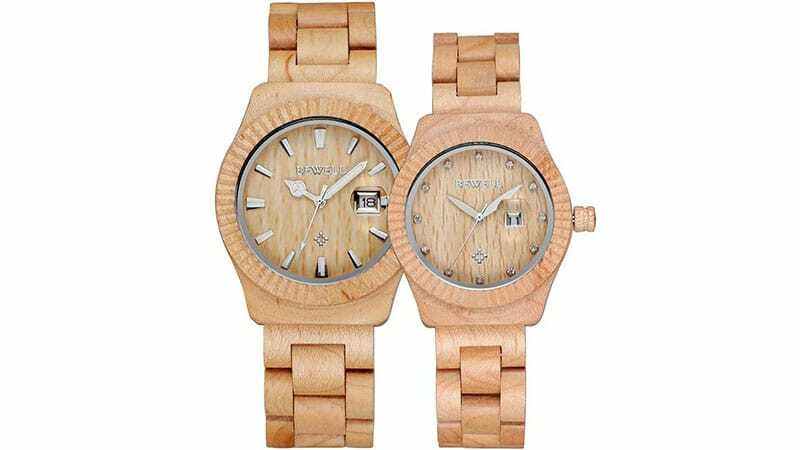 Finding two stylish designer watches that are not only appropriate for a couple but also affordable can be a challenging task. 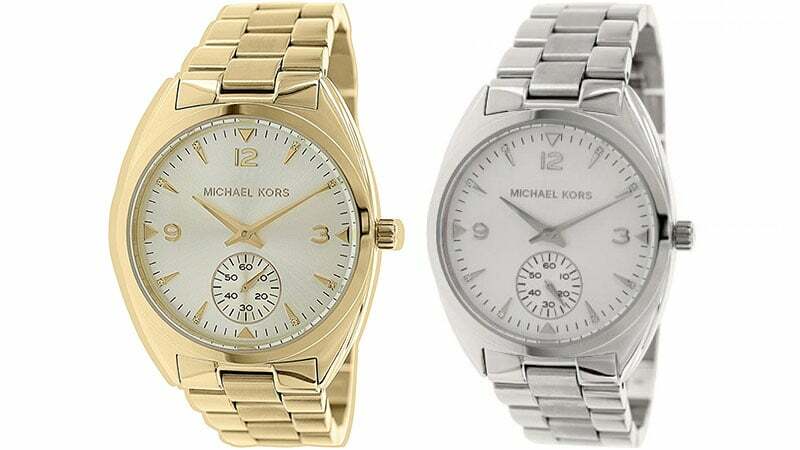 Luckily, these chic Michael Kors Callie Watches make it easy. The design features a large gold option, which is perfect for gents, and a smaller silver style, which is great for ladies. Although both versions are contemporary and stylish, they each also appear classic and timeless, meaning that they’re ideal for couples who are in it for the long haul. 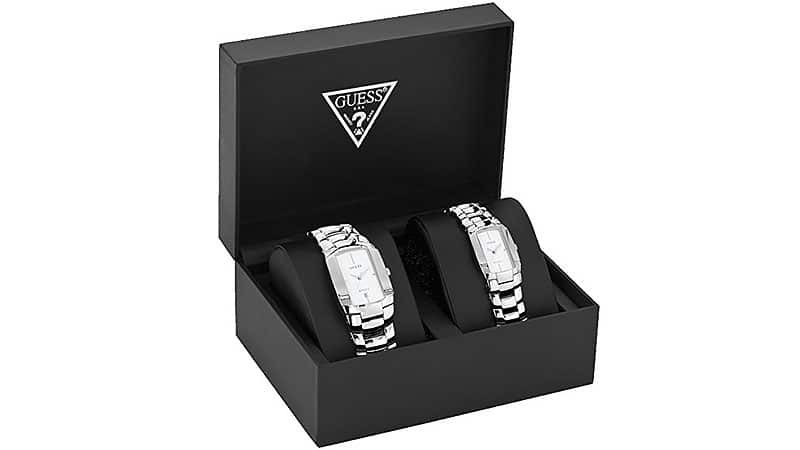 Sold together as a set, these Guess His and Hers Wristwatches are the perfect pair. Ideal for either a wedding or anniversary gift, they come in a lovely case that can also be used for display purposes. While both watches are similar in design, each is unique, making for a complementary match. Although they are both silver and very sophisticated in appearance, the men’s style is wider for a larger wrist and includes a date display. The women’s version, on the other hand, is more slender and features a stylishly uncluttered face. 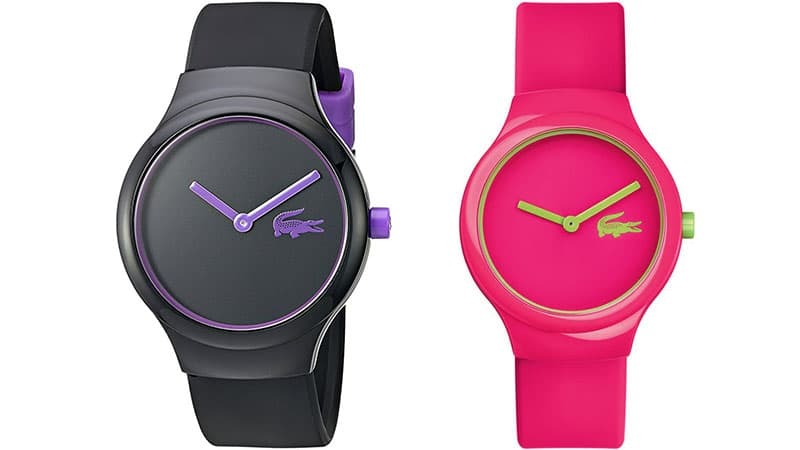 Perfect for the modern couple, these chic Lacoste Goa watches are minimal but far from boring. While the men’s option features a sleek black design with bold purple details, the women’s is hot pink with lime green. These eye-catching colours aren’t the only thing to love about these timepieces, though. A comfortable silicone strap, 30 metres of water resistance, and a very attractive price are all the reasons why this matching pair will steal your heart. Thanks to the Scheppend Couple Roman Numbers Watch’s classical design, which is suited to both men and women, you’ll always have a lovely reminder of your special someone on your wrist. No matter how far apart you are and for how long, seeing the brown leather strap, gold-tone case and bold Roman numerals of this timepiece will always make you think of its pair and your own. Time telling has never been more romantic than with these two of a kind. 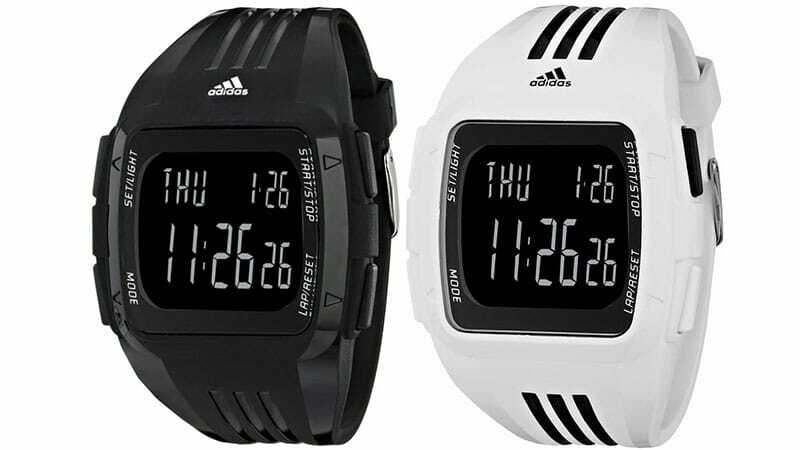 For the couple that not only lives together but likes to work out together, the Adidas Performance Fitness Watch is the perfect option. Both fashionable and practical, these exceptional timepieces are ideal for sports enthusiasts who like to look stylish. So, whether your date night consists of going for a run or to the movies, the Adidas Performance Fitness Watch will have you both covered. The handy timepieces are also water resistant to 50 meters and suitable for short periods or recreational swimming. 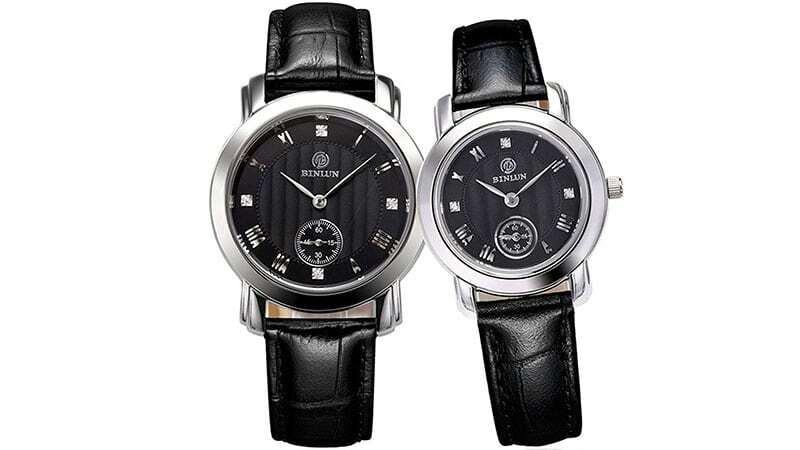 These matching BINLUN BL0011C-LSB Watches feature an overall futuristic design. Although the genuine black leather band appears classical and refined, the face and case of this watch style are unexpectedly innovative. While the dial is decorated with sleek Roman numerals and Austrian rhinestone crystal hour markers, the thick bezel is made of silver-tone stainless steel and is resistant to scratches, hot sun, humidity, and other harsh environments.